The four kings on a modern deck of playing each have a distinct appearance. But do these royals represent specific historical or mythical figures? While they did briefly have identities assigned to them by some card producers, in general, they no longer have names to put with the faces. 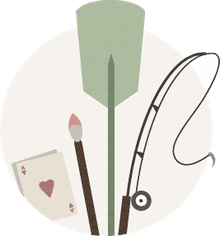 Learn about the history of the kings of spades, hearts, diamonds, and clubs. Many believe the four kings in a deck of cards represent great rulers of the past. If you face a trivia question, the following name assignments are your best bets, although these designations haven't been in use for centuries and are disputed. King of Clubs: Alexander the Great, King of Macedonia, who conquered a vast region and lived from 356 to 323 BCE. King of Hearts: Charlemagne, King of France and the first Holy Roman Emperor, who lived from 747 to 814 AD. King of Diamonds: Roman Caesar Augustus. Some sources say the king of diamonds is Julius Caesar, not Augustus. A correct answer to the trivia question is also that they don't represent anybody anymore, but that might not win you any points. Playing cards arrived in Europe in the late 14th century, and decks differed greatly depending on where they were produced. There were inconsistent numbers of cards and design, although all decks had suits made up of court cards (now usually called face cards) and numbered cards. Eventually, as card-playing in Europe became more widespread, the decks were mass-produced with stencils and always included 52 cards, the same number a deck includes now. It was the French card-makers in the late 16th century who standardized the suits of spades, hearts, diamonds, and clubs and designated the four kings as David, Alexander, Charlemagne, and Augustus. But David Mikkelson of Snopes.com says that this designation was ended in the late 18th century and from then on, the kings in decks of cards have represented no specific person, any more than the kings on a chessboard stand for illustrious royals of the past. 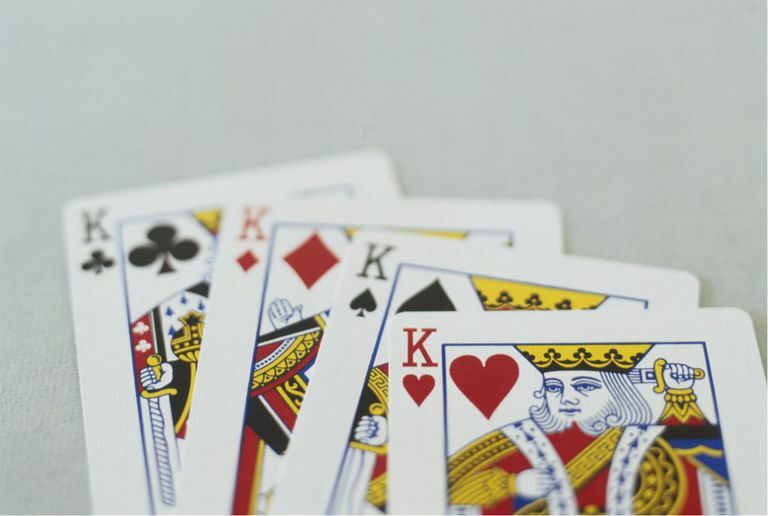 Adam Wintle, in the UK website The World of Playing Cards, says that English king cards have never been named for any historical person and supports Snopes' contention that the connection of real royals to the cards was a wholly French invention. Down through the centuries, the figures in the court cards of Pierre Marechal of Rouen—kings, queens, and jacks (originally called knights or knaves)—have been dressed in the medieval clothing that was original to the 15th-century designs of the French. The king of hearts is sometimes called the Suicide King because the sword he holds behind his head might be visualized as being used to stab himself in the head. This design evolved from earlier designs where he was holding a battle ax. But over the course of copies being made, the ax head was omitted, and the weapon changed to a curiously positioned sword.